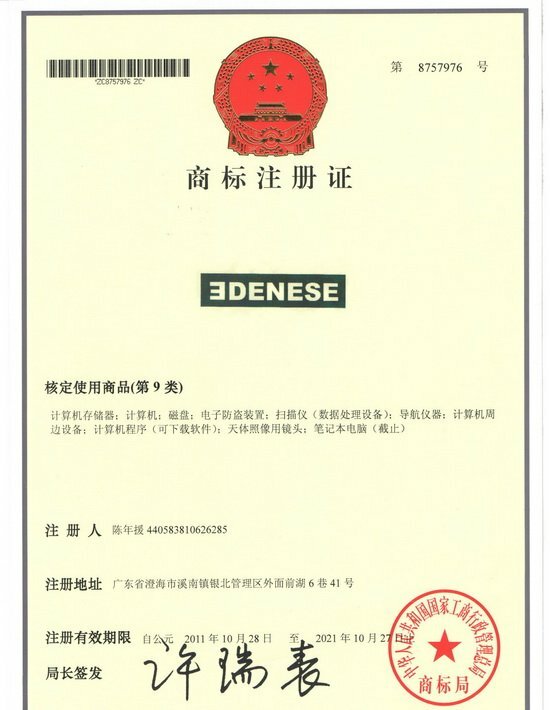 DENESE (Dongguan) Computer Co., Limited was founded in 2005. Now we are located in the international electronics manufacturing city  Dongguan, which has advanced information technology and facilitated transportation. EDNSE is the strategy brand in DENESE Group.As a manufacturer which specializes in server system equipment, we input series of system equipment to the field of servers for 8 years. Especially, the rack-mount chassis have reached the most advanced level in China.Our company mainly engages in rack-mount chassis, e.g. 1U/2U/3U/4U/5U blade architectures, and ITX and tower chassis. We also operate server related products such as RAID cards, expansion cards, network storages, KVMs, cooling fans, power suppliers, riser cards, HDD support, HDD brackets, CPU coolers and so on. In addition, our company provides hot-swappable and non-hot-swappable solutions. We design, customize and produce products based on the needs of clients. ODM/OEM orders are welcome. Our products are exported to more than 40 regions in the world, such as Southeast Asia, Europe, North America, the Middle East, Our goal is to create a new future by science and technology. Innovation and renovation are our soul. We strive to create more human convenient and fast intelligent products. We focus on providing the best customer experience. Our products will set up a strong data information center for you. You will have a better future with our services.